This is a pulsating part of the city and famous for it's fashion factory outlets, budget shopping malls and street markets which mark the favorite pursuit of visitors to the city, namely shopping. 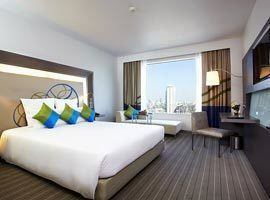 To leave you in a fortunate position to buy those T-shirts, jeans and fashion accessories our cheap hotel deals in Pratunam Bangkok will put precious cash back in your pocket. 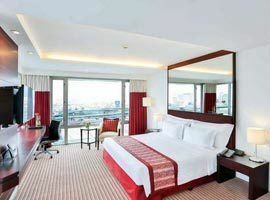 The area offers luxury 5 star accommodation featuring names like The Amari Watergate which is walking distance from the Panthip Plaza, known for it's vast array of computer and other IT outlets as well as The Pullman Bangkok King Power Hotel. The latter forms part of the King Power duty free shopping complex and a leisurely stroll away is the skytrain to other parts of the city. The Siam area is right next door and depending where in Pratunam you stay you could cross the street to access this location by foot and shop for brand names in the boutique outlets of Siam Square found in high rise malls like the Siam Paragon. 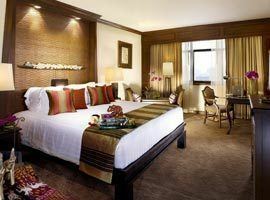 To find the best prices for opulent luxury accommodation to mid-range hotels and cheap budget accommodation deals near and around Pratunam markets our price guarantee, free cancellations and pay later offers says you arrived at the right place to book risk free. 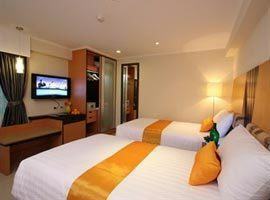 A garden terrace, luxurious rooms and suites surrounded by flashy lifestyle malls and street markets. Featuring a pool, rooftop garden and fitness centre near street markets and shuttle services to MBK Mall. Great budget deal in a street with Indian restaurants and many food stalls. Good location for shopping. Great reviews for this elegant 4 star property located in a quiet street with easy access to shopping. 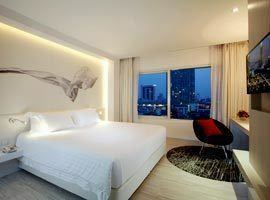 Stylish elegance on Makkasan Road featuring a family floor with child friendly facilities, pool & gym. Modern, stylish and located above the Platinum Shopping mall. Near MBK and Siam Square malls. 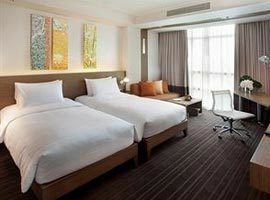 5 Star luxury connected directly to the King Power Duty Free Mall and near Phaya Thai BTS Station. 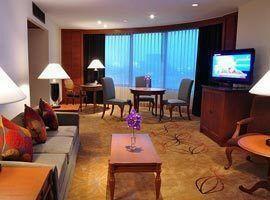 Located by Phaya Thai BTS and airport rail link inter-change. Thai influenced contemporary elegance. Modern and stylish with rooftop restaurant and bar. Near local bars, markets and shopping malls.